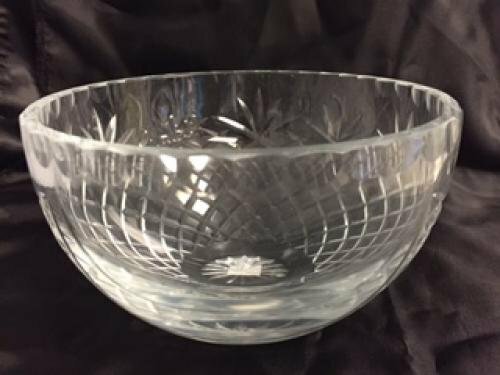 Genuine Sheridan Crystal Medalion Salad Bowl. Makes for a perfect award or serves as a beautiful gift. Premium Series Crystal award trophy with chrome-plated metal base. 1/2" thick optical crystal. Hand polished and beveled to create the ultimate recognition awards. PRICING INCLUDES ENGRAVING !